With offices and fully staffed distribution centres stretching from Vancouver to St. John’s, Gaspard has the on-site flexibility to deal with the last minute order amendments and ceremony curve balls that can sometimes catch you by surprise on your big celebration day. We’ve been celebrating big days with grads across Canada for over 100 years and get how important this day is for everyone involved! So right from the get-go, the process is all about YOU. Your colour. Your timing. Your special order requests. We understand better than anyone that grad days can be busy days, so our cost effective grad gown retrieval service may be just the answer to help lighten your load and keep you relishing in the afterglow of wonderful individual achievements. Our on-site support team are more than happy to look after everything from pick-up to pack-up. Download the Excel format Graduation Spreadsheet (Microsoft Excel is required). Go to Order Forms page to download our order forms. 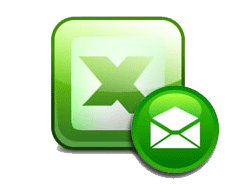 Open the Excel spreadsheet in Microsoft Excel and read the information on the instructions tab and follow the instructions to complete the spreadsheet.